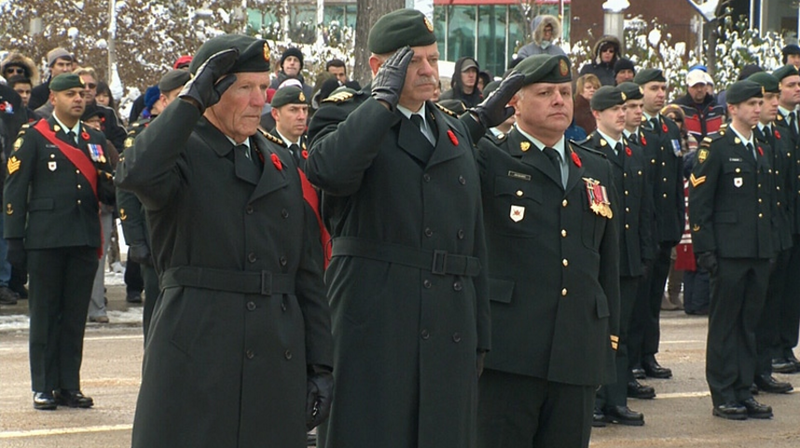 Albertans are proud to honour the soldiers that have fought, died, and continue to fight for our freedoms, our safety, and our beloved country. 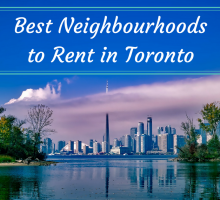 They are also proud to host some truly breathtaking and moving ceremonies commemorating the brave women and men that are in our thoughts and hearts this Remembrance Day. 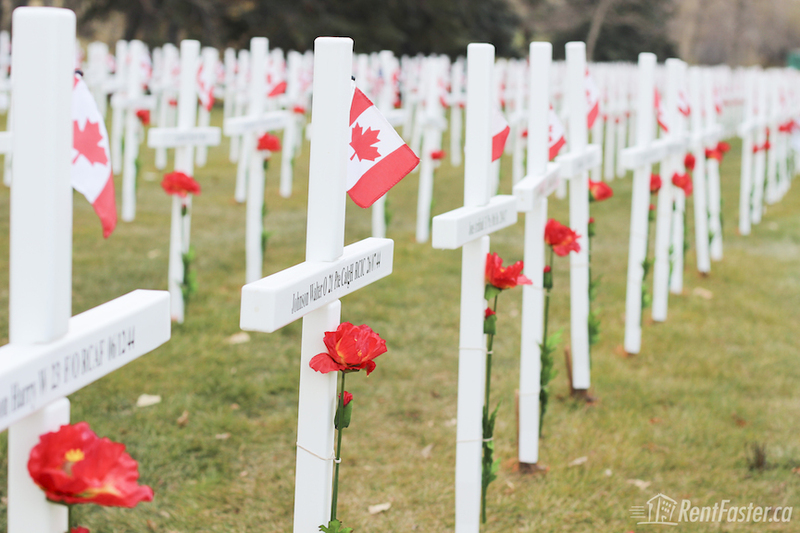 The field of crosses displays 3,200 white crosses representing each Southern Albertan soldier who has been killed in action. 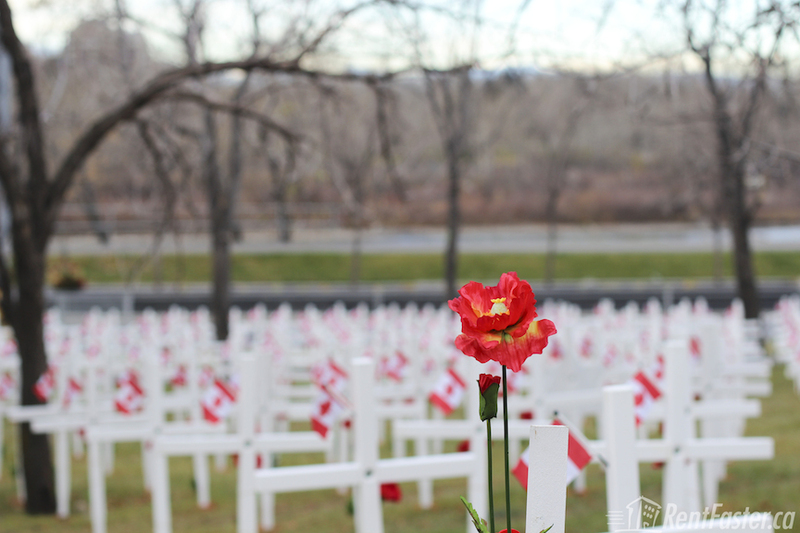 Each cross is inscribed with a soldier’s name and adorned with a single poppy. 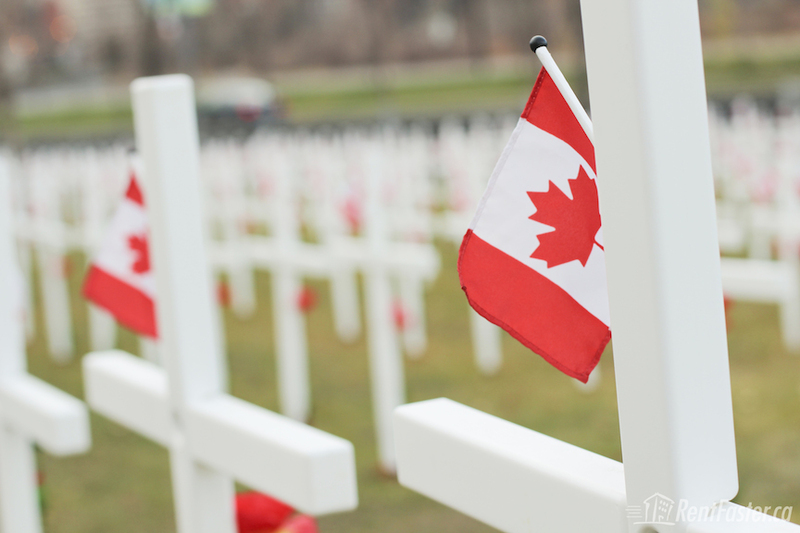 Walk among the crosses anytime or visit at sunrise or sunset for the flag raising ceremony that takes place daily. 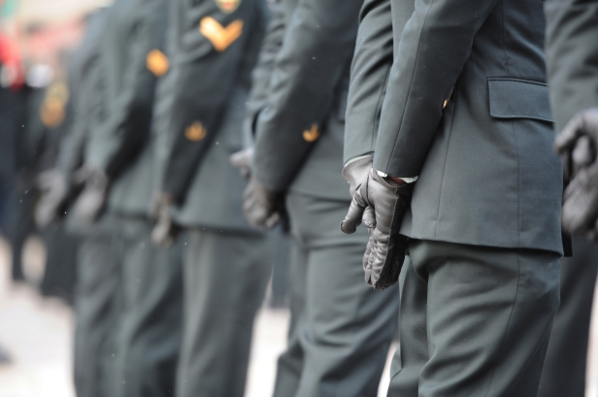 A special Remembrance Day service begins at 10:45 a.m. on November 11. The ceremony includes the laying of wreaths by political, veterans, military, civic and community organizations. Following the ceremony, there is also a march outside the west side of the auditorium. 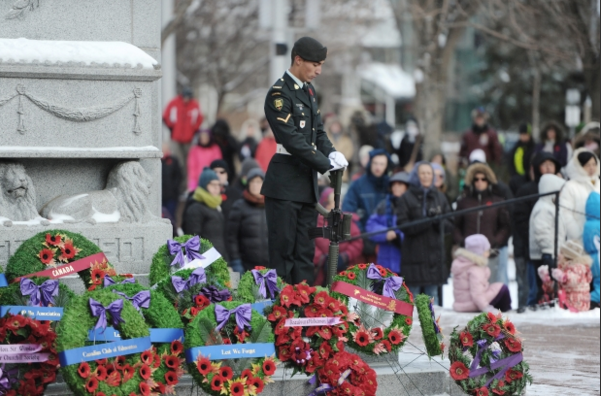 A beautiful outdoor ceremony by the City Hall cenotaph, where wreaths are laid in honour of our fallen soldiers. 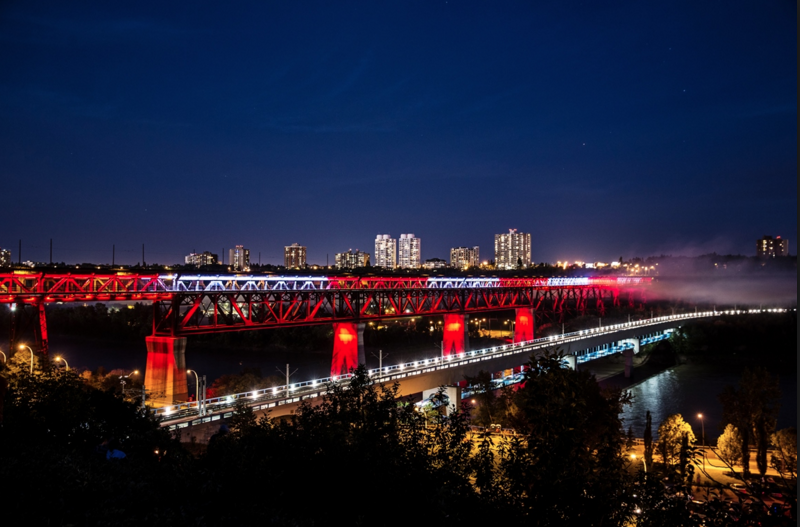 If you are in the area, you won’t want to miss the High Level Bridge aglow in white and red for Canada’s military. A breathtaking sight against the night sky. 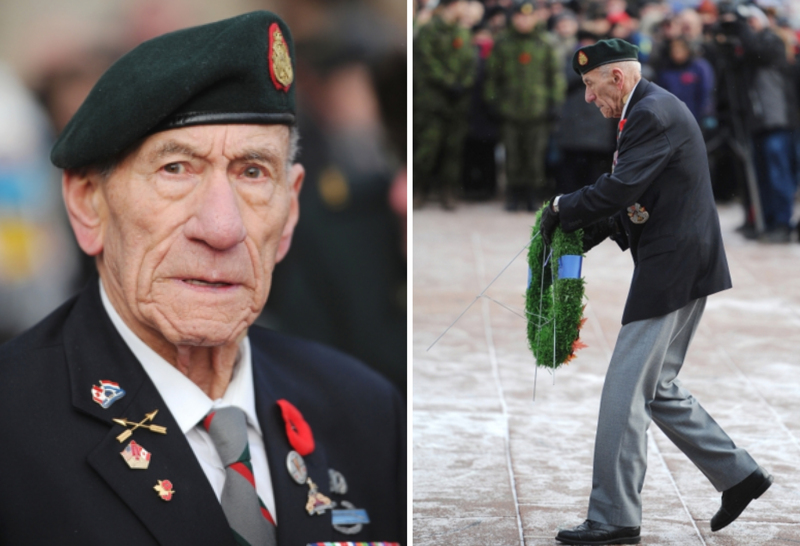 This service put on by the Royal Canadian Legion will fill you with such pride as you observe those who salut in uniform. Location: Highway 11 near Sylvan Lake AB. 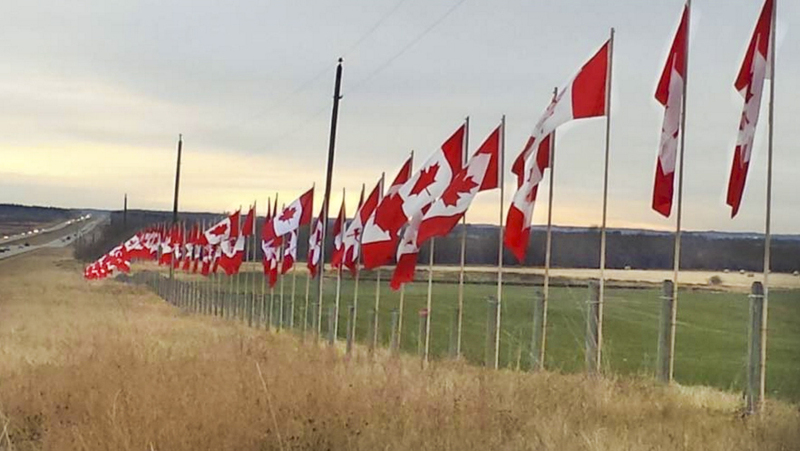 This unassuming stretch of highway displays 116 flags for the 116,000 Canadian soldiers that have died since 1900. Knowing that each flag literally represents an army of 1000 soldiers who have paid a price for our freedom makes a bold statement. If you plan to travel north or south to Calgary or Edmonton this week make sure to look out for this extremely moving site. 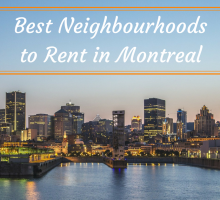 A full list of services offered in Edmonton can be viewed here. 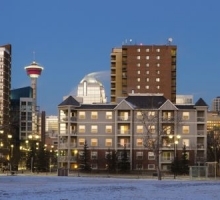 A full list of services offered in Calgary can be viewed here.